Mando Diao kick, scream, and sweat when they play- I mean when they rock. These four guys from Borlange, Sweden deliver a wicked mash of alternative and garage rock. Their sound is rough and loud with bass, guitar, drums, and vocals that range from strong and powerful to soft and alluring. “Long Before Rock‘n’Roll,” a track off their latest album, Above and Beyond, is pretty much screaming that merges into singing, alongside two very powerful acoustic guitars-yes acoustic. The result is the kind of song that urges you to jump and dance. 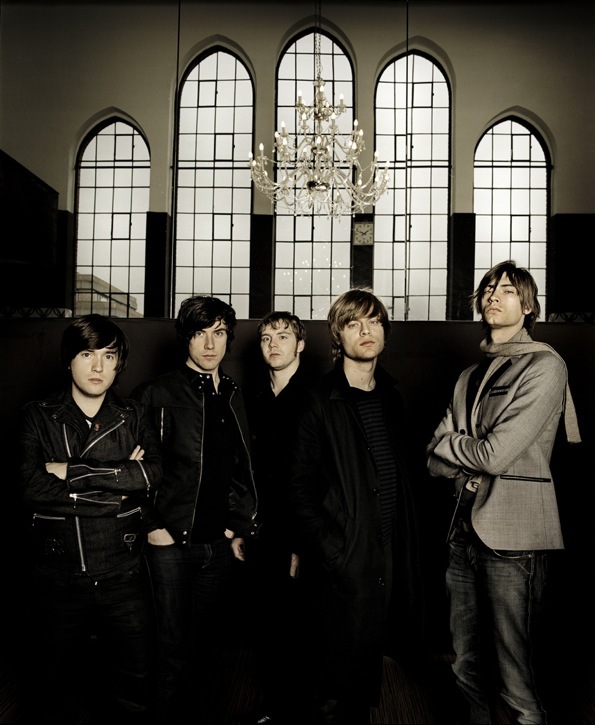 Mando Diao display intense energy in their sound and could quite possibly rock your face off. Listen at your own risk.